While everyone loved the very Linux-tastic Sharp Zaurus, it seemed to flop in the water for a variety of reasons. 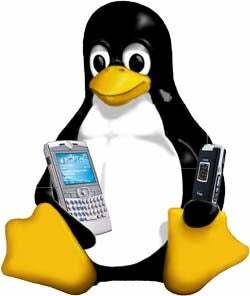 The idea of a mobile platform Linux is being reborn again officially with the help of Vodafone, NTT DoCoMo, Samsung, NEC, Panasonic and Motorola. They are going to form a non-profit organization to build an open source Linux-based platform to be used in the mobile industry. This new mobile operating system could be seen in phones by 2007. This could be great for the phone market to allow more flexibility and lesser costs. Linux heads out there, what do you think?